For many fans of the Ace Attorney, the news that the fifth game “Phoenix Wright: Ace Attorney — Dual Destinies” was getting a digital release for the English language release on eShop did not go down well. This issue was one of the possible factors why Ace Attorney: Investigations 2 never made it outside Japan, as sales of the original Investigations spinoff did not meet targets. Although they said a physical retail release is not completely out of the question, as Capcom may consider it if the demand from the fans is enough to justify a physical release. 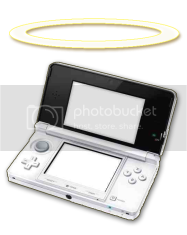 3DSBlessed is a UK-based news and reviews website aiming to bring you the latest coverage pertaining to that most blessed of consoles : the Nintendo 3DS! We also host a directory of upcoming gaming events in the Uk, so do be sure to check it out.